I was recently asked to write about stance and its role in design. Well, its role in anything actually. Stance is different to values, it is different to your intention. It describes how you choose to ‘be’ in the pursuit of something, whatever that might be. 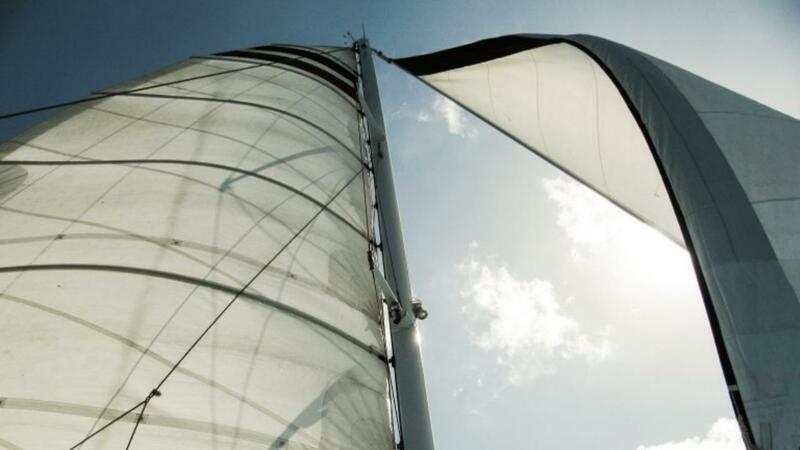 Having loved sailing my whole life, I tend to use sailing as a metaphor to describe it. If your purpose is the reason why you sail, for the love of sea and nature, your intention is where you aim to get to, the island in the middle of the bay, your stance describes how you sail the boat to get there, whether you race or you cruise. Describing your stance sets up how you will ‘be’ as you go about getting your work done. It sets up how you interact with your work, with each other, your approach to problem solving and dealing with challenges and successes. Stance can be deliberately considered in the design of teams, projects and work. It can influence decisions about approach and even the physical arrangement of a room. For example, if your stance is collaborative and open, your team should be set up to be able to do work like that with the appropriate tools, approaches and culture. We also need to ‘get real’ when we are talking about stance. If we have a culture that is closed and fear driven, where knowledge is wielded as a form of power, establishing your team’s stance as being open and transparent may be setting the team up for unnecessary resistance. Stance needs to be created within context and with an intent. This doesn’t mean that your stance needs to perpetuate a difficult culture, in fact it can be used to create a different ‘being’ model to show an alternative to the incumbent culture. Consideration should be given to whether the stance is actually going to enable or hinder the success of the team. In the stance of design, a fundamental prerequisite is the belief in possibility. That somewhere out there, there is a harmonious win win design that may not be what we expect, but is source of a meaningful outcome for all. This is an ‘and’conversation. It is much harder to go there, though the results are absolutely worth it. Stance is something that changes and is contextual, unlike values or purpose. Being aware and empathic of your situational context should inform the stance you take with your work. If you are working within a context that is new to design, your stance might be one of teaching and describing as you work. If you are working within a context that is familiar with design, you might have a stance of experimentation and creativity where you try new things and push the boundaries of your practice. Knowing your values, your intention and purpose are all critical to getting your stance right as well. All need to work together coherently. It is your stance that determines your immediate experience of your work, so it is worth your while to give it the consideration it deserves. This blog was originally published over at melissenova.com.